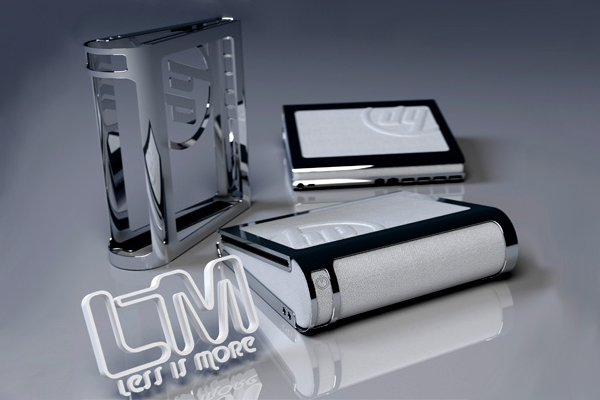 About transparent smartphones good news this morning, @ love machines have been reported before by Taiwan treasure technology manufacturing transparent smart phone will be listed by the end of this year. 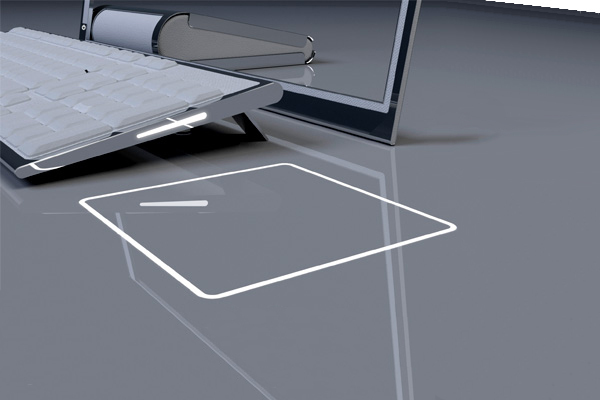 And Bao technology will in the next few weeks to show a transparent Tablet prototype. Mobile phones, flat-panel using transparent technology, computers are no exception, and note that it is not a notebook, is a computer. 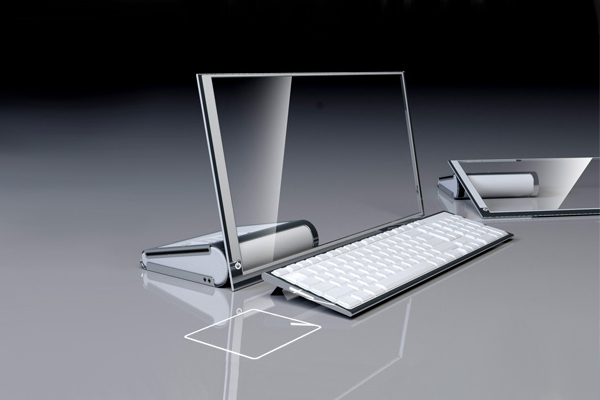 This is a concept of HP computers, it is advocated by Less is More (less is more) concept design. Computer configure full transparent design 19-inch computer display screens, screen is LIM material, the mainframe using dictionary style, very modern. In addition this computer paired with a wireless keyboard, the overall effect is stunning. More advanced its touchpad is from the laser projection keyboard side, which can operate the computer without a mouse, cool creative design.